RSHM LIFE Center Celebrates 20 Years! We give thanks for all that has been and look forward to many more years of service to the people of Sleepy Hollow and Tarrytown. When we opened the LIFE Center it was with the hope we could be of service to the women and children of the community who were living in the shadows. The people with limited resources but a dream that their lives and especially the lives of their children could be better. Twenty years have gone by since the doors of the LIFE Center first opened. It’s hard to believe but whenever one of our first ‘students’ stops in to say hello the reality hits. As we begin each new day we have so much to be grateful for. We continue to build upon the things that have worked well and we look for new ways to be of service. The holiday season is so busy here. We have many special projects but all regular programming continues. It’s become quite a balancing act but our wonderful staff and faithful volunteers make it all seem easy. We started by providing the makings of a festive dinner for 100 families, 90 of them thanks to a group called ‘Giving Thanksgiving’. Local high school students collect funds and put together packages for 90 families and deliver them right to our doorstep. This was the 9th year of the program which has been passed down from year to year. It’s a great help to us. The rest of the families were taken care of through donations of supermarket gift certificates. Christmas is right behind and that means organizing our Holiday Boutique. The Boutique gives parents the opportunity and dignity of choosing and ‘buying’ gifts for their children. Nothing cost more than $5, most things are $1, and proceeds go directly to our children’s programs. For those who have had an especially hard year they are added to the ‘Adopt-a-Family’ list. We ask them to come up with a ‘Christmas Wish List’ and as best as we can those wishes are granted. Twenty families were ‘adopted’ this year. 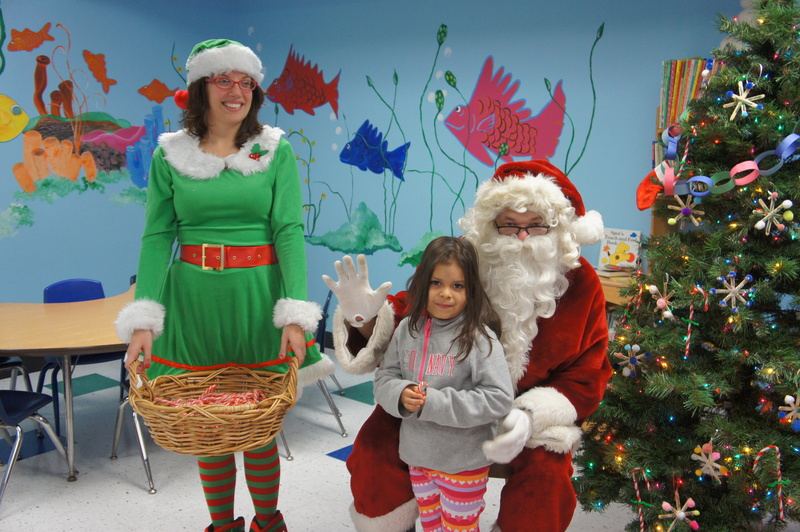 Santa and his Elf came to visit all of the children’s programs. Since I know him personally he is able to take time out from his busy schedule to drop by and hear the children’s requests. He also reminds them that they must be good throughout the year. Our teen group visited the Winter Wonderland exhibit at Kensico Dam. For most of them it was the first time they had gone ice skating. The Center closed after programs finished on the 23rd and staff had a much needed break until the 4thof January. Now it’s on to the events of 2016! Yes, that's me on crutches. I had a little accident while decorating the Center for Christmas. Our great staff took care of setting up the Holiday Boutique and all was well! Kindergarten went off to our local Post Office to mail their letters to Santa. Our After School twins enjoyed their visit with Santa. It’s hard to believe we are only six weeks in to the new school year. We do tend follow an academic year since all of our programs have an educational component. So many things have happen since we ended our Summer Camp program and closed for a few weeks to spruce up both LIFE Center locations. After a few fresh coats of paint and some major cleaning thanks to our parents and staff we are back in the swing of things. The children in the After School Program are hard at work. Some new faces have joined the staff as well as the student body. It hasn’t been all work however; Kindergarten and First grade had a special visit from School Superintendent, Sr. Christopher Clouet. He dropped by to read to them and brought along his guitar for an impromptu ‘sing-a-long’. Second and third grade had the chance to dance thanks to our friends at Sleepy Hollow Performing Artists. Each class experienced what goes in to learning a dance routine and a bit about the hard work that goes into putting on a performance. October 10th was a half day of school so we decided to do something different. The entire After School program went apple picking-all 120 of us! Loaded on to two buses we headed off for a fun afternoon. The other Center Programs are well underway as well. 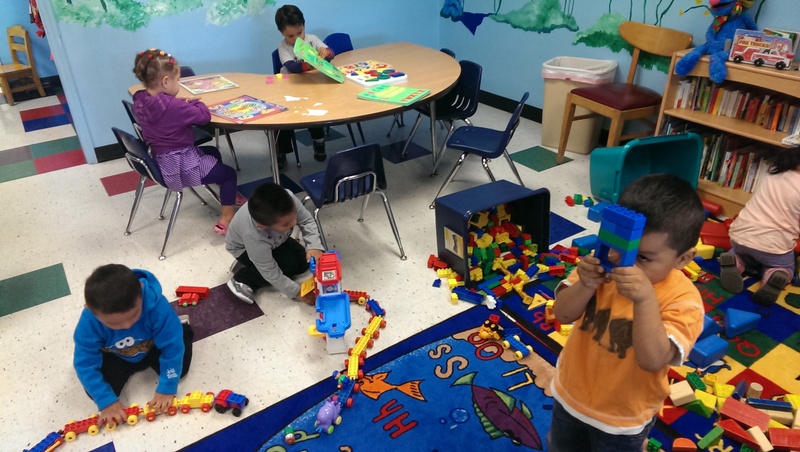 A new group joined Parents & Tots; we have over 20 preschoolers in this year’s group. Our adult learners are settling into their English Classes. We’ve made a change to our teen program, Friday Night Fever. This year sixth graders are included so we hope this will add a new dimension and be a fun experience for all. Please 'like' our Facebook page...go there to get the latest news and see many more pictures! Happy New Year everyone! In my first blog post I talked about our year beginning, the school year does seem like the start in many ways. I haven’t been good about keeping all of you up to date so I guess a New Year’s resolution to do that is in order! I don't want you to miss anything so I will give you a brief glimpse of the past months. September is always a busy time, getting in to our new routine, meeting new students, parents and teachers. 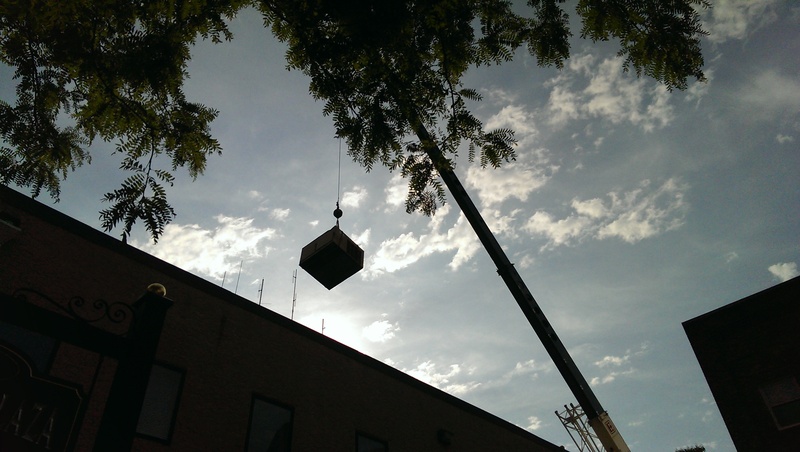 The beginning of our new school year was complicated because we needed to replace our heating/air conditioning system which is on the roof of our main building. Repairs were getting more costly so we felt we could not put things off any longer. The fact that the units are on the roof complicates things and adds to the cost. The crane on Beekman Avenue was quite a site, but it’s done and classes were able to start on time. Parents & Tots, ESL and After School were in full swing before we knew it. We were visited several times by our new schools superintendent, Dr. Clouet, and we are looking forward to working together. The Fourth grade class started their Jacob Burns Films Center class, ‘Animations: Minds In Motion’. This is our ninth year participating receiving the scholarship enabling our participation which will conclude in February with the ‘Red Carpet Premier’ at the Film Center. Sleepy Hollow has become a Halloween destination in October and as a result it is a big distraction for the children, but it’s also fun. Our students paint our windows for Halloween every year and as an added treat we were invited to paint the windows at the Horseman Diner. One of the big annual events is the Rivertown Runners Halloween Fun Run. Our Friday Night Fever teens, once again helped out at the children’s activity tables. The teens participate in service projects throughout the year to earn the privilege of going trips. The Fun Run group went to ‘Horseman’s Hollow’ at Philipsburg Manor later in the month. The teens who attend on Friday nights are not required to perform community service but earning the points toward a trip seems to be a great incentive. The month ended with Halloween parties for the various groups. Things really begin to speed up once we hit November. English classes have passed the midway point and student feel more confident. Parents & tots are well into their routine, caregivers in English class and toddlers chattering away in English learning their colors, numbers and new songs. Our After School children are well into their studies and we have been communicating with their teachers to find the best way to help them excel academically. Though our programs are, for the most part, educationally based advocacy is another major component. As we move towards the holiday season we get ready to provide Thanksgiving dinners to approximately 75 families thanks to the efforts of a group of Sleepy Hollow High School students who fund raise, shop, pack and deliver the meals to us. ‘Giving Thanksgiving’, as they are known, have been helping us for over six years. Student groups pass the project down from generation to generation, often through families. 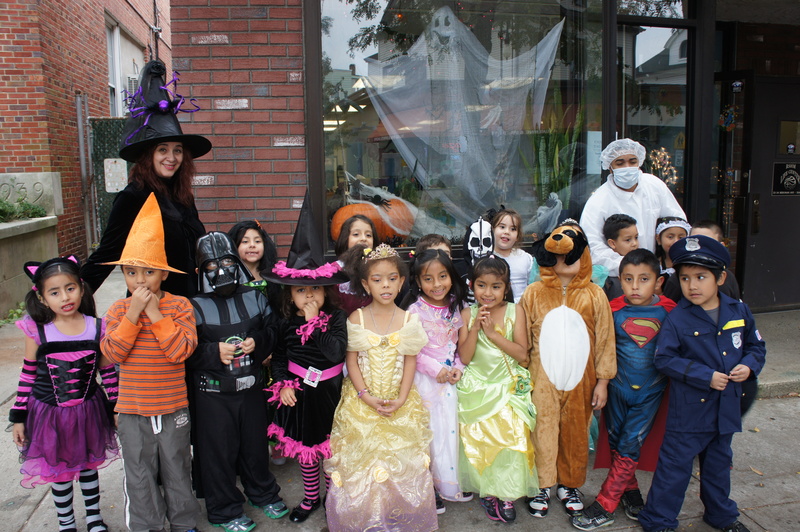 Another event in November this year was a ‘friendraiser’ held by ‘Kids Club’ at our new annex on Valley Street. They have been great friends, supporting many of our programs, and were instrumental in our ability to get the new site ready by September. Kids Club supporters were invited to see the new space and were able to spend some time with some of our fourth and fifth grade students. Each year, for the past 10 years, parishioners at the church of the Magdalene, have held a ‘Pot Luck Supper’, to benefit our Summer Camp Program. This year the dates didn’t work out well in the Spring but they didn’t want to drop it so it was held in November instead. It turned out to be the most successful ever. December becomes a big blur, the children become more excited as Christmas approaches and staff move in to overdrive. It’s a challenge to keep students engaged when they are so distracted whether they are young or old. Staff need to put their heads together to choose families for our ‘Adopt-a-Family’ giving. All of our families live at or below the poverty level for our area but some families are in greater need due to a variety of circumstances. ‘Adopt-a-Family’ brightens the holidays for them and is a way to connect neighbor to neighbor since those who ‘Adopt’ come right from our neighborhood. 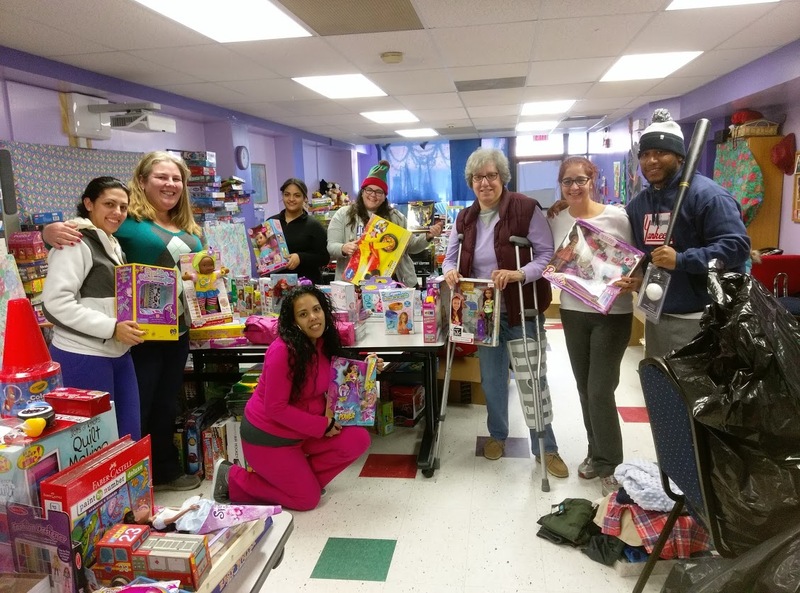 We also hold our annual Christmas Boutique where families involved in our programs can have the dignity of shopping for their families rather than getting a hand-out. New toys and clothing are donated by our many benefactors and are priced between one and five dollars. Proceeds are used for children’s programs and to purchase certificates to local markets which we give to those in need throughout the year. The highlight of December is always a visit from Santa and one of his Elves. As all the children know, I am a personal friend of his so he always comes to the LIFE Center even though he’s busy in the North Pole. Here we are, beginning a new year. I am going to be much better at keeping everyone up to date. There are so many exciting things happening here! The Life Center has given me, a retired teacher, a chance to continue to hone my skills!! I enjoy working in the after school program, helping children with their homework, giving them some pointers on learning to read, and reading them a story. I am continually amazed at the amount of love that emanates from the Life Center. People in the surrounding area are warmly welcomed, and freely come to the door as their needs arise. All effort is made to help with such things as food certificates, advice, housing, and clothing. It is an honor to be a small part of such a giving institution!! A new academic year has begun! We are so pleased to be adding Immigration Legal Services to our offerings at the LIFE Center. It is something we have wanted to do for a long time and we know the need is great. We are also happy to have more children with us this year in our new space on Valley Street. Our waiting list is smaller but we still needed to turn some people away. More students require more staff to work with them and we are pleased to have new people with us this year. We will introduce our staff in future posts. 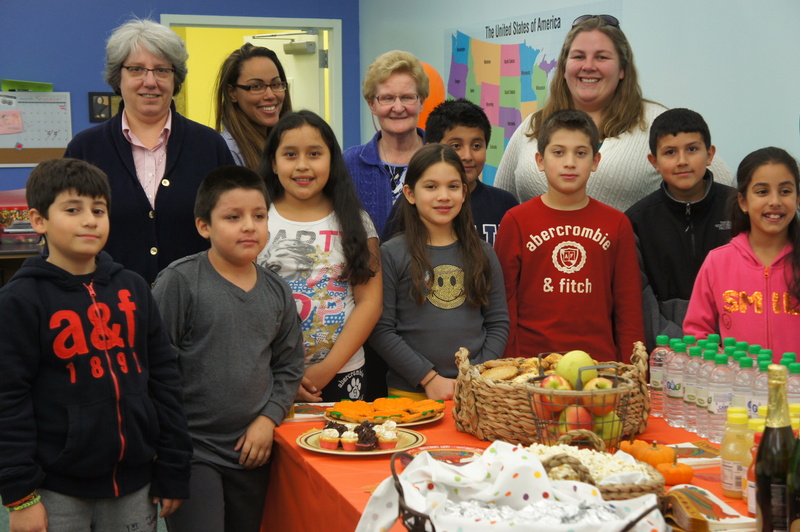 This past Monday the After School, Parents & Tots and Legal Services officially opened. Registration for the ESL classes is in process and classes begin the week of the 16th. All other programs will start that week too. Check this page for more of the latest happenings and news of upcoming events.